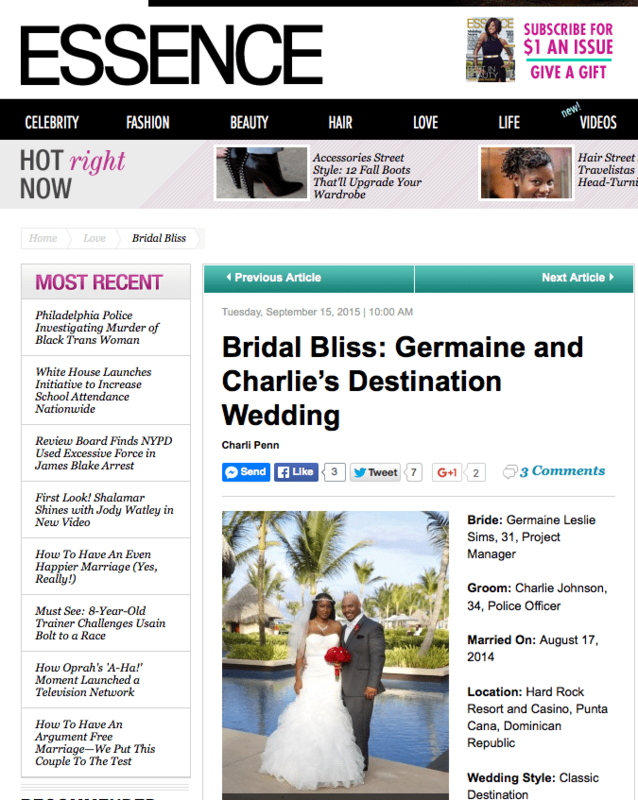 Essence.com Wedding Photographer | Hard Rock Hotel Destination Wedding Photographer | Germaine and Charlie’s Wedding Featured in Essence.com!! I am soooo excited to have Chicago natives Germaine and Charlie’s wedding featured in Essence.com! Special thanks to Relations Editor Charli Penn for making this possible! Click here to check out their feature! !